This proposal is for Development Approval for Reconfiguration of Allotments, and associated Plans of Development (currently being finalised), for the Ripley Land Holdings site into 421 residential allotments. Some of the larger allotments (marked on the proposal plan) will be for duplexes or townhouses. 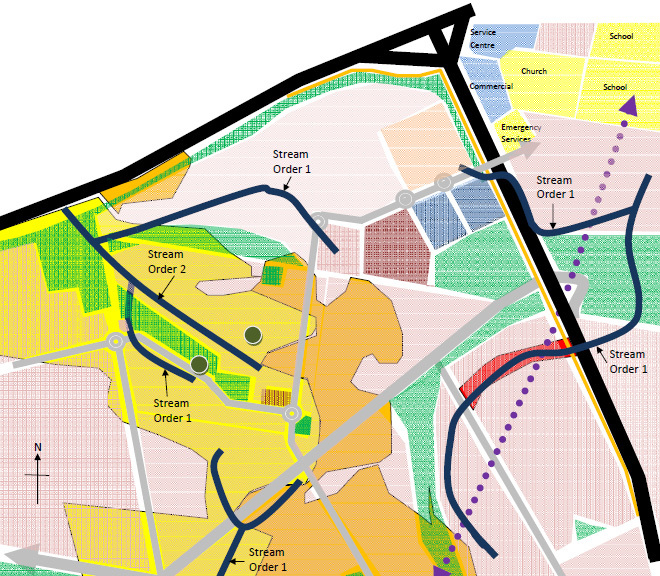 The proposal includes a multi-use town centre, park and a green corridor through the existing gully line. All of these parcels of land are currently zoned ‘Future Urban’ under the Ipswich Planning Scheme.